In WizKids’ Upcoming Game, Team Play, Working Together Is Your Key to Victory! 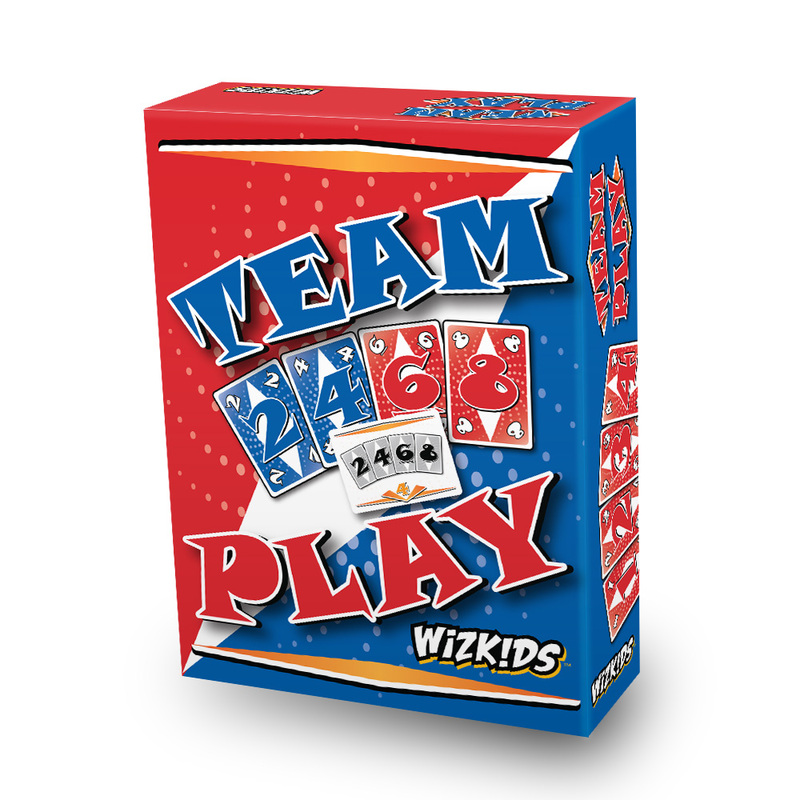 Hillside, NJ – November 16, 2017 –WizKids is excited to announce the cooperative card game, Team Play! Licensed from Schmidt Spiele, you and your partner work together to complete your mission cards and earn points before the other team. These missions are various combinations of numbers and/or colors, such as 2 pairs of uneven numbers, or having 3 low numbers, or 5 consecutive red numbers, etc. Think you and a friend have what it takes to work together and fulfill the various missions? Or are you looking for an easy “pick up and play” party game? OR BOTH! Preorder Team Play from your FLGS today for $19.99, and get ready for cooperative fun! Available at your Friendly Local Game Store January 2018.